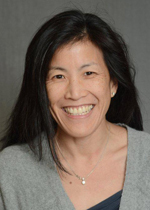 Dr. Chan was born in Newport Beach, CA , grew up in Northern California and then attended the University of Pennsylvania, graduating with dual majors in Biology and History. She then completed medical school at Yale in 1994 and her residency in Internal Medicine at UCLA. Before moving to New Haven in 1999, she worked at UCLA’s Department of Internal Medicine on faculty as a clinician educator. She has been in private practice in Branford since 2002. Dr. Chan is an Assistant Clinical Professor of Medicine at Yale. She is board certified in Internal Medicine, having recertified in 2007. Her interests include women’s health, preventive medicine and depression. She wrote a chapter on Alternative Medicine in the textbook Women’s Health: Principles and Clinical Practice. Dr. Chan is married and has two children. She can speak some Spanish and Chinese. She enjoys running, skiing, and cooking.